Art With Mr. E: Math Investigation Day In Art?!?!?!? Art teachers are being asked more & more to support areas in the regular classroom where there are deficits. 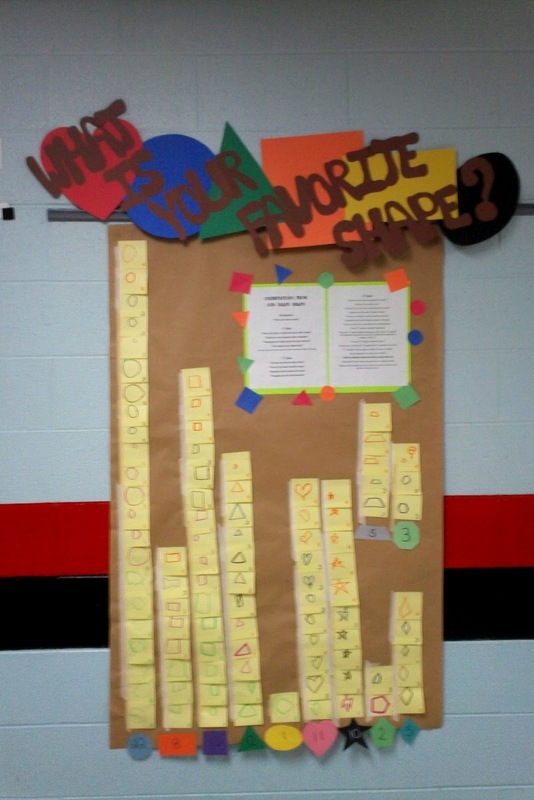 Our school has started a math initiative where the whole school participates in a Math Investigation Friday. I personally did not want to like it...or want to do it. However, I am a team player...and found a fun way to sneak it into my classroom where it would not take a lot of time away from our curriculum. All day I had student come back and draw their favorite shape on a post-it note(I used a different color for each grade level & placed K-4 in the corner). I then placed the post-its on a graph(sort of). At the end of the class I had students make observations on the results. I recorded the results, and placed all of into the hall way. 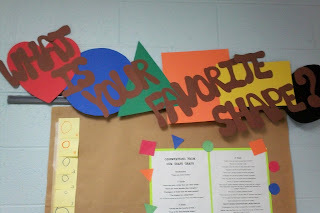 Some of the answers my 4th graders gave me were hysterical! I know that we naturally have math elements in so much of what we do, but I wanted to do something "extra" for our initiative. Ted...you are the best! I start color om Monday and will do this for favorite colors. Thanks for all the great ideas you share!